1. 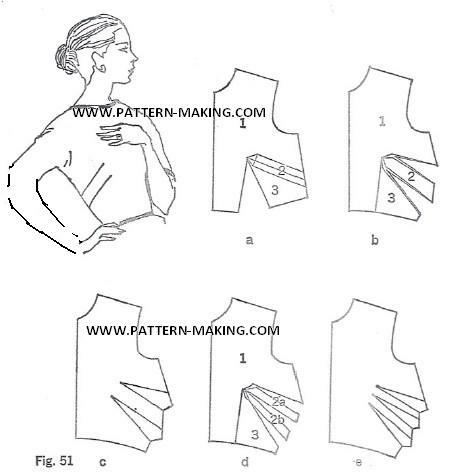 Trace the bodice-front sloper. Cut out the tracing and the dart. 2. Draw the line for the French dart (Fig. 51a). This is a guideline for positioning the new darts. 3. Locate the position of the new darts 1/2 inch away on each side of the guideline. End the lines 1/2 inch from the dart point. This automatically shortens the darts while in construction instead of shortening them in the final pattern. Mark the ends . . .